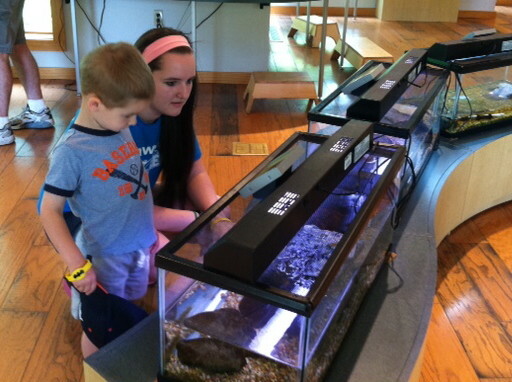 Checking out local nature centers. 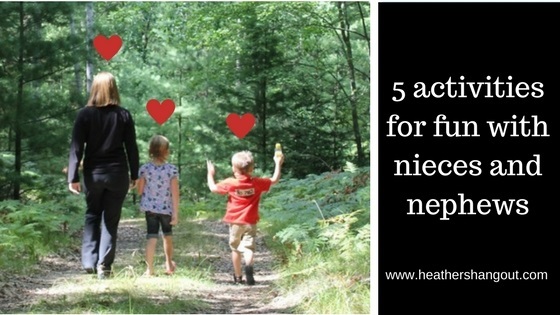 Explore the places around you: From visiting nature centers to walking along the Detroit River walk to games to hiking to geocaching, my nieces and nephews are always up for adventures, like their aunt. No wonder we have so much fun together! I try to make outings a bit more fun, and attention-grabbing, by adding in activities, such as a scavenger hunt in the woods (look for deer, flowers, acorns, etc), sharing silly trivia about the places we’re visiting, and more. Read books: I am a reading fanatic so any time I get an opportunity to share a book with the kids, I take advantage. My sisters and brother in law have instilled the importance and love of reading to their kids, which really excites me. The younger three typically bring books for family dinner or sleepovers, and we already have a reading picnic planned for this summer at the local lake. I sometimes will read the same series (Harry Potter, Twilight, etc) so we can discuss the books. Dance: Music is a big part of my family’s life, which translates down to the kids. They love to sing and dance. Sometimes we just turn the radio or iPod on to get into the groove; other times we play Wii Dance Party, Disney Dance Party or Michael Jackson Dance. I love watching the intense concentration on the their faces while they learn the dance moves, and then the burst of pride when they realize they’re following perfectly! We have tons of fun while promoting an active, “keep the feet” moving lifestyle! 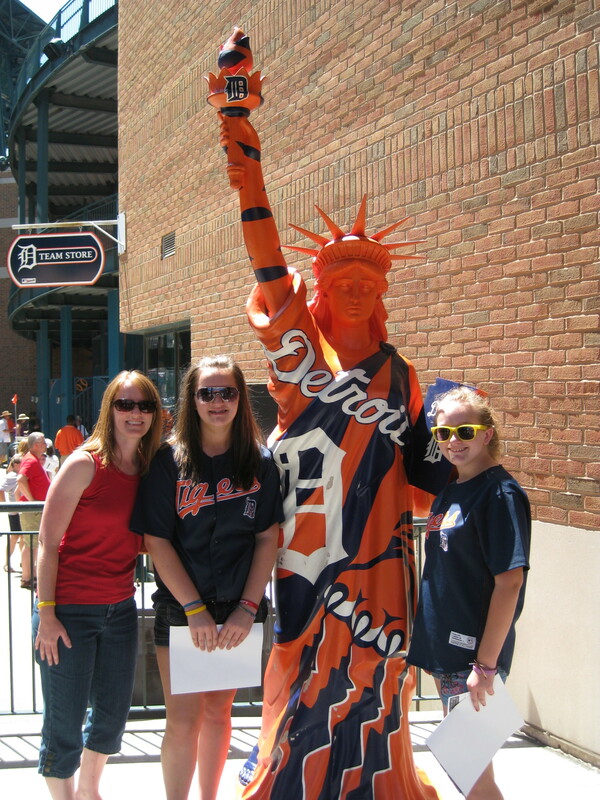 We love our Detroit sports! Art projects: We color, cut, paint and sparkle a lot. I love taking the kids outside to explore nature and collect leaves, acorns, twigs and other natural items. Then we grab some construction paper, glue sticks and markers to make fun pictures. Be silly and fun: I always encourage the kids to be imaginative. So yes, the stuffed dog ‘barks’ and the Little People princesses ‘talk’ to each other. We ‘taste’ the tea made by the littlest one and cover our ears when playful fire engine sirens go off. Picnics on a blanket in the living room and singing in the car are typical occurrences when they are with me. There are moments when the kids look at me like I’m a little crazy but then their giggles come and their creativity takes over. The most important activity we do? Laugh, laugh, laugh! It would be easy to turn on the television or grab the iPad, but those aren’t my personal go-to items for anything. I love talking, laughing and playing with them. I know these are memories that I will remember and cherish forever, moments to look back on as they grow into adulthood and get busy with their own lives. I can only hope they’ll remember and cherish too. Great ideas! I have a bunch of nieces & nephews, too, and they range in age in a huge span! It’s fun because I get to do a wide variety of things with them! Oh I like the idea of reading the same book so you can discuss. It’s always interesting to see how kids interpret literature! Aw, what awesome ideas! Your nieces and nephews are so lucky to have you! This was helpful. It has to be hard keeping that age range engaged! My neiece is 16 and I’m struggling with coming up with stuff to do that is cooler than some of the activities she already has planned for her on weekends. Ah, the teenage years. When my oldest nieces were that age, I found they just enjoyed hanging out, relaxing and doing different things (hiking, movies, geocaching, biking, etc.) than they typically do with friends.